More than 60 world leaders, including US President Donald Trump and Russian ｃounterpart Vladimir Putin, will travel to Paris [this month] for commemorations of the end of World War I a century ago, French officials said in October. Earlier in November, Macron spent a week touring the ｃountry’s WWI battlefields, including Verdun, scene of the longest-lasting battle which left at least 700,000 dead on both sides. Only ｃountries which “sent troops or workers to the European theaters of war” have been invited to the Paris ceremonies. 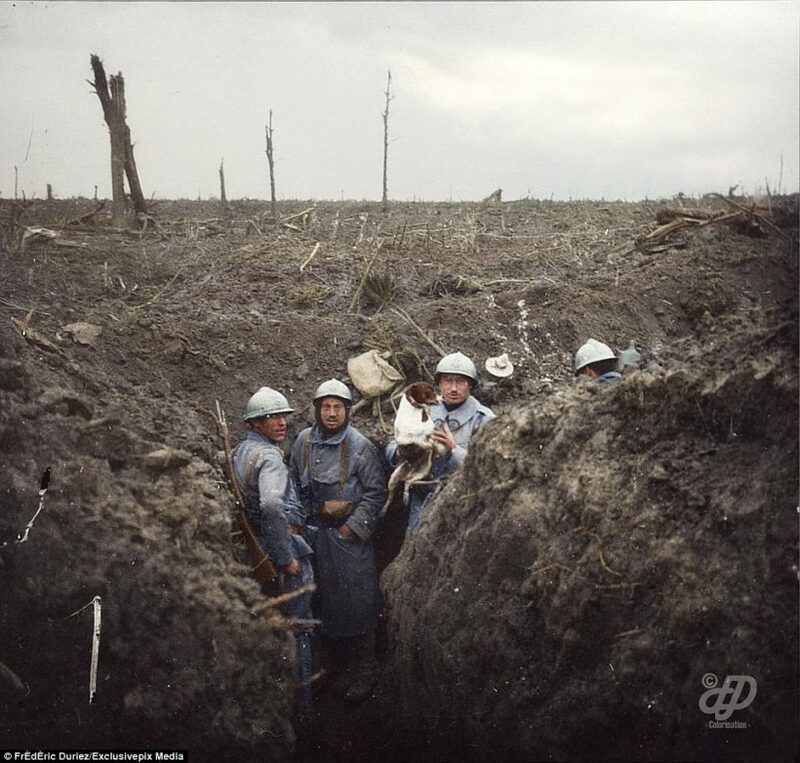 ImageSource: "https://www.studentnewsdaily.com/wp-content/uploads/2018/11/ww1-trench-820x782.jpg" class="img-thumbnail" alt="World #1 – World war what?? 1.Counterpart/noun : a person or thing holding a position or performing a function that corresponds to that of another person or thing in another place. 2.Commemoration/noun : remembrance, typically expressed in a ceremony. 3.Participation /noun : the action of taking part in something. 4.Commemoration /noun : remembrance, typically expressed in a ceremony. 5.Armistice/ noun : an agreement made by opposing sides in a war to stop fighting for a certain time; a truce. 6.Trench /noun : a long, narrow ditch. 7.Warfare /noun : engagement in or the activities involved in war or conflict.